We have many opportunities to grow our faith here at St. Mark's Church. 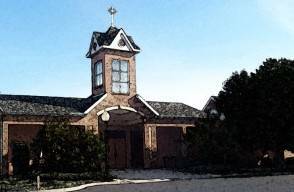 Throughout the year we have Bible Study, Eucharistic Adoration, Holy Hours, Religious Education for all ages, Sacramental Preparation, Various Parish Groups who share faith in prayer, conversation and action. Please click on some of the links in this section and throughout our website to see where you can grow your faith!